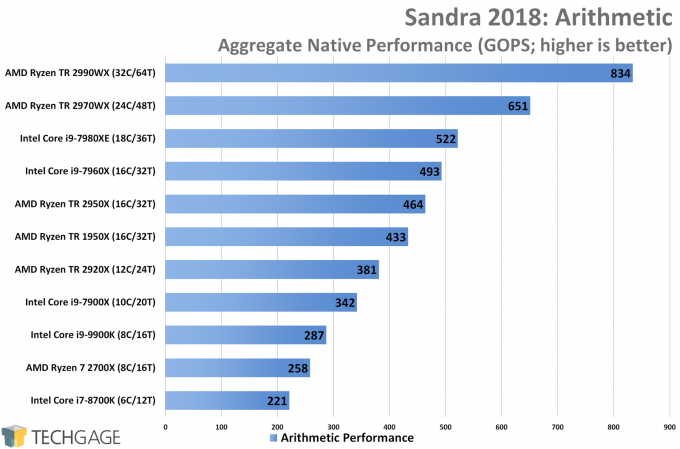 While this article has no lack of synthetic benchmarks, SiSoftware’s Sandra makes it very easy to get reliable performance information on key metrics, such as arithmetic, multimedia, cryptography, and memory. 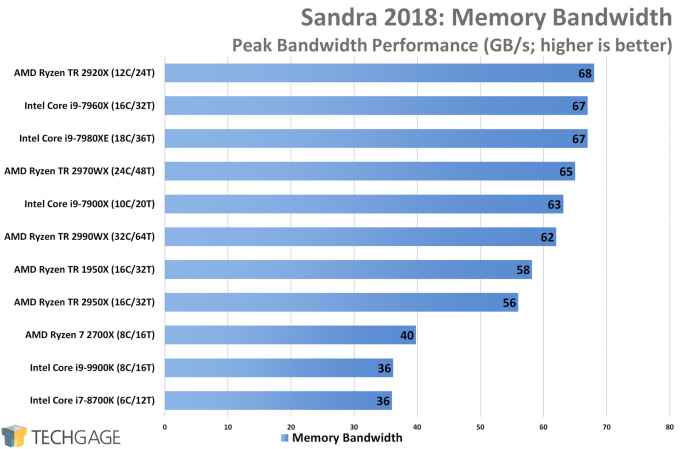 Sandra is designed in such a way that it takes the best advantage of any architecture it’s given, so each CPU always has its best chance to shine. That means a couple of things. This is definitely the “best” possible performance outlook for any chip, and doesn’t necessary correlate with real-world performance in other tests. It’s best used as a gauge of what’s possible, and to see where one architecture obviously differs from another. 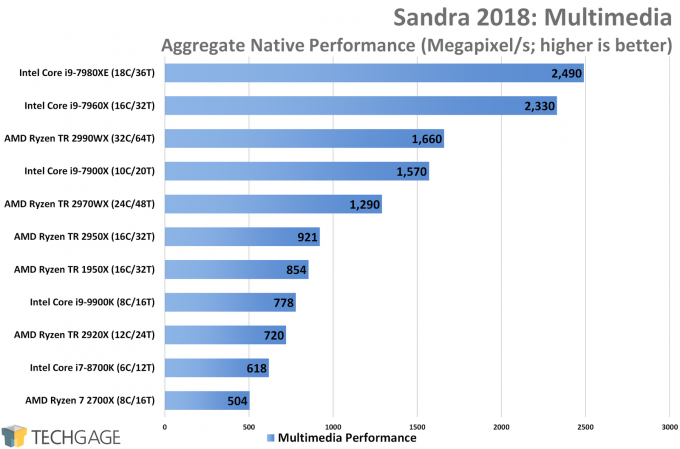 Sandra’s multi-media test effectively tests each CPU you it give it, because it’s aware of the instruction sets that could be engaged to boost performance. Ultimately, Intel dominates this test, which likely won’t be a surprise to those who’ve been watching the CPU market for a while. This isn’t going to correlate with all (or most) real-world use cases, but could represent the performance boost if Intel’s bells and whistles are all engaged. Math is hard, which is why more cores working on the same problem can be hugely beneficial. 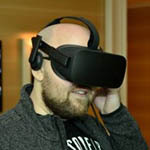 Whereas AMD struggled in the multimedia test, it excels in the arithmetic one, with strong gains seen by both top AMD chips over the top-ranking Intel ones. This is another case where AMD’s 2920X easily surpasses the performance of the 7900X. 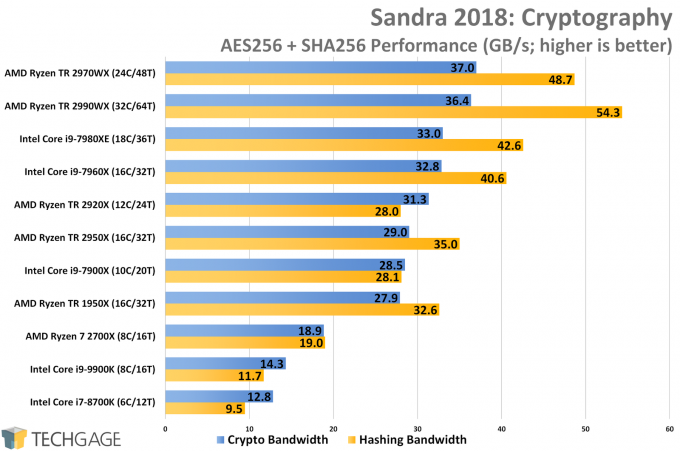 In a couple of generations, AMD improved its cryptography performance pretty significantly on both CPUs and GPUs. Interestingly, the 24-core chip managed to replace the 2990WX at the top for crypto bandwidth, but scaling normality resumes with hashing. This strong crypto performance trickles down to the 2920X, which also pulls ahead of its best competition (7900X) in hashing, and matching it in crypto bandwidth. If you need memory bandwidth, you need to go with an enthusiast platform that grants you the use of a quad-channel memory controller. At a certain point, you will reach diminishing returns on memory performance, so as long as you have fast memory and with as much of it as you can get, a quad-channel platform is going to suit you best.